ISLAMABAD: Capital Development Authority (CDA) and National Highway Authority (NHA) representatives will meet in Islamabad on Friday to resolve differences over the construction of two underpasses on Kashmir Highway, reports Dawn. The NHA had been asked by the CDA to construct two underpasses in I-16 and I-17 to ensure smooth connectivity between both sides of the highway. The 16th and 17th Avenues are also to be constructed on those locations in the future. CDA officials told Dawn that residents of G-16, H-16, G-17 and H-17 will experience accessibility problems as well. 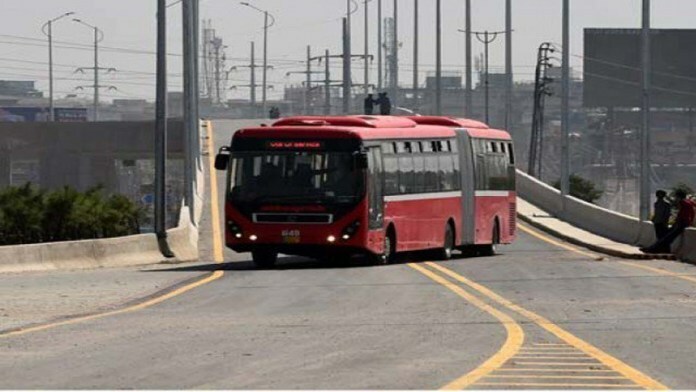 The 25.6 km metro bus track between Peshawar Mor and the new Islamabad airport costs Rs 16 billion and falls under the responsibility of the NHA. Arguing that it is not part of the PC-I for the metro corridors, NHA declined CDA’s request to construct the underpasses. Construction of the interchanges would be difficult in the future with a fully-grilled metro track in place, posits the CDA. “We simply requested the NHA to construct the underpasses and that we will make the interchanges in the future when the need arises. But if they do not make the underpasses, we will have to block the metro corridors for the construction of the interchanges, which is not workable,” a CDA engineer said. Representatives from both organisations will meet on Friday to resolve the problem after The Senate Standing Committee Cabinet Secretariat had recently ordered the NHA to construct said underpasses. “We will be meeting with CDA officials on Friday but the NHA has never given any assurance for the construction of the underpasses,” said NHA spokesperson Kashif Zaman. “There is no other solution other than the construction of the underpasses,” said CDA Member Planning Asad Mehboob Kayani.